In modern era, it has become the dream of each and every one to travel abroad. Many of them aspires to settle even in foreign land. But is it possible for each individual ? We will try to find out astrologically whether the planets present in the horoscope of a particular native promise this or not. Occasional or frequent travel overseas. Long term or permanent residence abroad. According to Sloka 8 and chapter-vi of 'Jatak Parijat', when the lord of ascendant occupies 12th house and Mars is conjunct with the Moon in a malefic sign identical to 10th house one goes to foreign land. -The ascendant lord at any of duhsthan (6th, 8th or 12th) is known as 'Dehakasht yoga' and invites the native for bodily sufferings, privation, over-exertion and general physical debility. It also include Moon & Mars conjunction in a malefic sign in 10th house. This is quite opposite to 'Amla Yoga' which is said to confer good reputation etc. Another stanza in chapter-xi of "Jatak Parijat" says 'when the lord of 12th house from the house which is occupied by lord of ascendant is in depression or weak, the native having such configuration goes to foreign country. If Venus influences the lord of 12th, whom Venus should be friendly, residence abroad is permanent. If the aspecting planet happens to be the Sun, the residence will be in a small township. If the 12th lord from the placement of ascendant is combust, it could be in some significant place. If however 12th lord is otherwise strong it could be a metropolis. Travel abroad, if we look at it logically, must involve houses, signs and planets which indicate movement. Out of moveable signs, Aries, Cancer, Libra and Capricorn, more particular signs are Cancer (being a watery sign) and Libra (being an airy sign. Out of dual signs, Gemini, Virgo, Sagittarius and Pisces, particular signs are Gemini (being an airy sign) and Pisces (being a watery sign as well as ruler of 12th of natural zodiac. Sagittarius too has its importance since it rules over 9th house of natural zodiac. Out of fixed signs, Taurus, Leo, Scorpio and Aquarius, particular signs are Scorpio (being a watery sign) and Aquarius (being an airy sign. Of the planet/planets - the Moon, a watery and changeable in nature has an important say along with the lords of concerned houses. Of the houses, 9th and 12th figure in most often in charts showing foreign travel/lands. 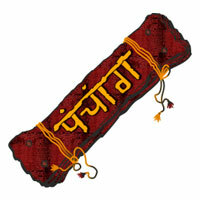 Some times 3rd house can also carry some clue because it is related with travels and planet/planets placed in 3rd house aspect 9th house a house indicating foreign travel. Venus, Mars and/or Moon placed in a moveable sign. When Rahu is placed in a moveable sign one will get help of other communities in a foreign land. 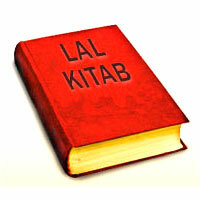 The ascendant lord be placed in 7th house identical to a moveable sign. Ascendant lord posited in a moveable sign aspected by a planet posited in a moveable sign. Saturn in constellation of Swati, Poorvashada, Ashwini, Krittika, Uttaraphalguni or Uttarashada. The lord of 10th house in 9th house identical to a moveable sign. The 10th house and 10th lord in a moveable sign. Mercury in the constellation of Ashlesha, Jyestha or Rewati. Rahu in the constellation of Ashlesha, Jyeshta, Rewati, Punarvasu, Vishakha or Poorvabhadra. The 12th lord placed in a moveable sign. Ketu posited in 9th or 12th house in moveable sign. The lords of 6th or 9th or 12th posited in 6th, 9th or 12th respectively. 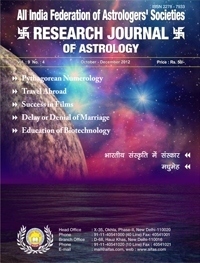 Jupiter posited in 4th, 6th, 8th or 12th house in a sign indicating foreign travel. The lord of 10th house posited in star of Rahu or Ketu or Saturn. The ascendant lord as well as Moon sign lord be placed in a moveable sign/signs. The lords of 9th and 12th posited in moveable signs or there should be exchange between 9th and 12 lords or there should be exchange between lord of ascendant and the lord of 9th house. The Sun, the Moon, Venus and Mercury conjunct any where in the chart. Lord of 3rd house posited in a moveable sign. Lord of 2nd posited in 7th house in a moveable sign. Rahu or Ketu in 4th, 9th or 11th house. 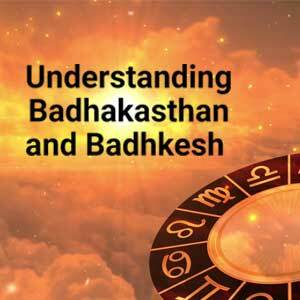 Navamsha lagna being Capricorn or Pisces or lord of 12th be placed in sign Pisces in navamsha chart. The lord of 8th house aspecting 12th house or 12th lord. Lord of 8th house aspecting 2nd house or lord of 2nd, one will get higher education in foreign land. Lord of 12th posited in 4th house, one will get education in foreign land. Lord of 12th house posited in 9th house in a moveable sign. Jupiter aspecting 12th house or lord of 12th. Sage Parashara says that 3rd and 7th houses are the houses for travel, the 9th house indicates pilgrimage and 10 house travel to far off places vide his book Brihat Parashara Hora Shastra, page No.6-7, 1st edition by N.K.Krishna Rau. Kalidasa indicates 3rd house for short journeys, 4th and 9th for travelling (apparently abroad), 7th house indicates journeys with interruptions and 12th house for going to foreign land in his book "Uttarakalamrita" khanda-4 and slokas-41/2, 111/2 and 151/2 by V.Subramanya Sastri. Satyacharya says one must consider the 9th house for travel abroad vide his book "Jaathaka Satyachareeyam" page No.16, 20, 21, 41, 79 by C.G.Rajan edition-1955. 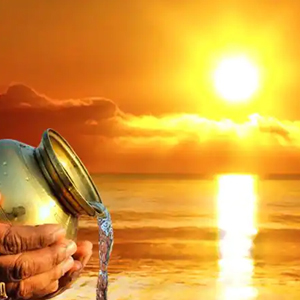 "Jaatak Parijat" gives the views of Garga, Varahmihira, Kalyan Varma and states that "it is from 7th house that one can calculate all about any journey a person may undertake" in chapter-44 and sloka-1. Nevertheless the 12th house relates to wandering far away from birth place and possible permanent residence and good fortune in foreign country vide chapter-11 and sloka-23,24,25. Chapter-13 and sloka-1, chapter-15 and sloka-73. Dr.B.V.Raman in his book "Hindu Predictive Astrology" vide pages-154,168 and 170 refers 3rd house for short journey, 9th for long journey and 10th for foreign travel. Example: Here we are discussing a practical example in which the above mentioned rules fit very well..
Leo sign rises in ascendant, lord of ascendant the Sun is placed in 11th house conjunct with lord of 7th Saturn. Lord of 9th house in conjunction with lord of 5th and 8th Jupiter, lord of 3rd and 10th Venus is in 12th house and lord of 12th the Moon in 2nd. -12th house and 12th lord Moon are aspected by 8th lord Jupiter and 9th lord Mars..
-12th house and Venus are under the influence of 8th lord Jupiter..
One should always study 4th house. A heavily afflicted 4th and 4th lord is an indication of separation from mother and motherland, in this case 4th house is afflicted by the placement of Rahu and lord of 4th is in a trik bhava under the aspect of Rahu, thus 4th house and 4th lord suffer affliction indicating displacement. Same 4th house from Moon should be studied and 4th lord from Moon. In this case 4th house from Moon is under the aspect of separative planets the sun and Saturn while 4th lord from Moon, Jupiter, again in a trik bhava conjunct with Mars and aspected by Saturn and Rahu..hence all the conditions required are met with..